You put in long hours in the field. 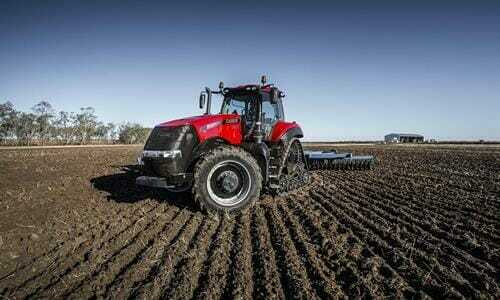 Your tractor cab should help you work comfortably every hour of the day. Case IH Magnum Series tractors feature a cab that allows greater comfort while in the seat, and engineering that stabilises your ride, reducing shaking and bumping in rough terrain. All with controls that are close by and easy to use. It’s an operator environment that helps you work through your fields, in any condition. Case IH Magnum tractors have helped producers Be Ready for more than 25 years with reliable power and proven innovations. They give you the versatility and adaptability with freedom to adjust for any number of applications on your farm. Advanced, efficient hydraulics and a solid front-axle suspension generate consistent dependability. And the Magnum tractors’ proven engines give you the power to increase productivity.